Heartless thieves have ransacked a Kooweerup business and stolen thousands of dollars-worth of goods while its owner was out fighting the Grantville fires. 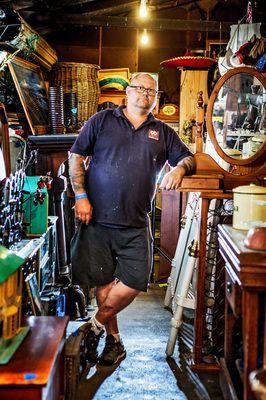 Lang Lang resident Stuart Emanuelli has been volunteering for the Lang Lang brigade for around 15 years, and owns and runs Rustic Rubble – a scrap metal dealership and second hand shop on Rossiter Road. He gave up his Friday and Saturday to fight the bushfire in Grantville. 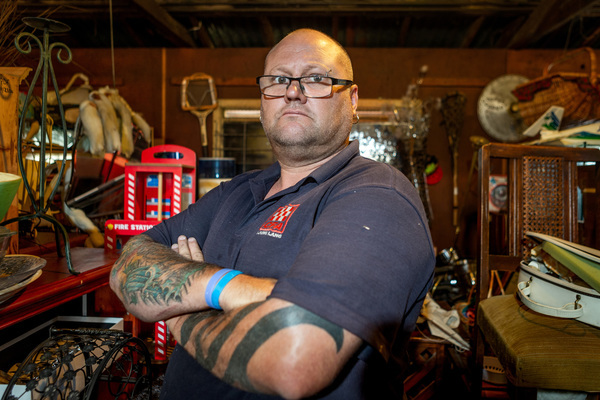 “It was devastating; I came back on the Sunday to find a smashed door and a bunch of my tools stolen,” Mr Emanuelli said. “I had to leave in a hurry on the Saturday – at around 1.45pm – because it had all hit the fan in Grantville, so a mate locked up for me. The criminals took a few thousand dollars-worth of tools, including a demolition saw worth around $1800, a steel blower and Maikta cordless tools. All the items were uninsured. The deflated firey has had to fix the door and clean up the mess himself. “It’s been a big week; we had all the storm damage and spent hours cleaning that, and then the fires, and now this. “I was surprised because this sort of thing just doesn’t happen around Lang Lang and Kooweerup. Anyone with information is urged to contact Pakenham police on 59452500 or Crime Stoppers.